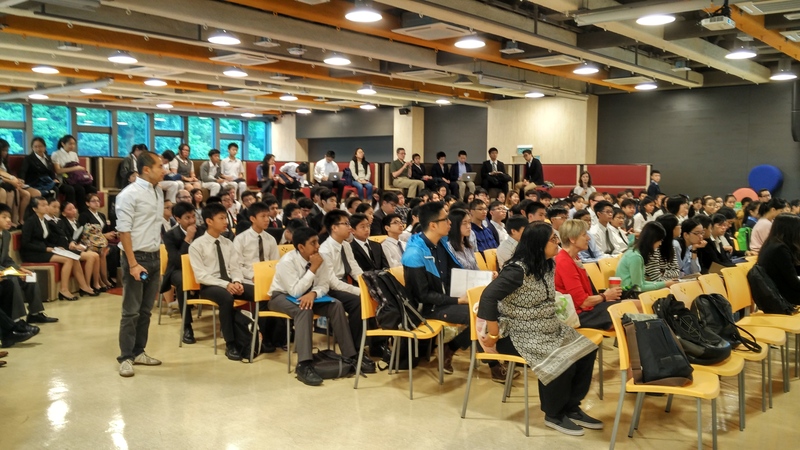 South Island School played host to the 12th Junior HKSDPSC Debating Tournament, providing both a venue that gave rise to many fond memories and one that saw schools compete in a full and exhausting 5 rounds of debating. It was a day of much learning with many speakers taking their first foray into debating and senior debaters joining teachers and coaches in adjudicating matches. The Best New Team award went to Carmel Secondary School, whilst South Island School emerged atop an extremely competitive field, landing atop both the team rankings and individual speaker rankings. SIS were closely followed behind in the team rankings by Heep Yunn School, Chinese International School and St Paul’s College. German Swiss International School, West Island School, La Salle COllege and Wah Yan Kowloon rounded up the top 8 teams breaking to the Finals Day. Once again, the individual speaker rankings reflected the extremely tight and high quality of the debates, with 11 speakers in the top 10, and joint Best Speakers. Our thanks in particular to South Island School for hosting the tournament. Thanks also to our Chief Adjudication Core of Mr. Holmes Chan (HKU), Mr. Shafee Mohammed (CUHK) and Ms. Yuet Ka Wong (HKU). The scene seems to be set then for an exciting set of Finals Day debates. More details regarding the logistics, match-ups and motions for the Finals Day will be announced about a week before the Finals Day at Renaissance College. Round 1 (impromptu) – THW ban the poor from gambling. Round 2 (prepared) – THW make public denial of the existence of Climate Change a criminal offense. Round 3 (prepared) – THBT history curricula in public schools should prioritize local history over international history. Round 4 (semi-prepared) – THW ban movies that rely upon racial stereotypes in storytelling. Round 5 (semi-prepared) – TH supports the practice of trophy hunting in economically impoverished areas. Ranked on the basis of average speaker score. Debaters needed to speak in at least 3 of 5 rounds.